CHICAGO (MARCH 19, 2019) On March 21, 2019, 360Fashion Network's Charging Wallets will be featured in the Museum of Science and Industry, Chicago's (MSI) Wired to Wear exhibition dedicated to wearable technology. 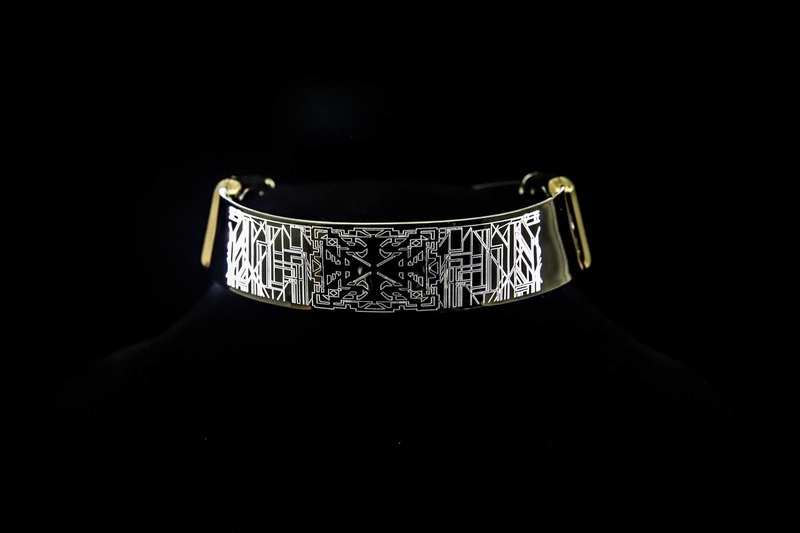 Additionally, 360Fashion Network's Urban Mobility Scarf, iLLUMINATED JEWELRY chokers and bracelets, LED Ribbon, and MetaGem LEDA Smart Notification Ring will be sold in the MSI Museum Shop. 360Fashion Network's CEO, Anina Net, consulted for the Museum in the conception phases of the exhibition. Anina Net helped the MSI Museum curators understand what fashion technology is, connect to key partners, and give proposals on how the exhibition could be interactive and relevant to visitors. 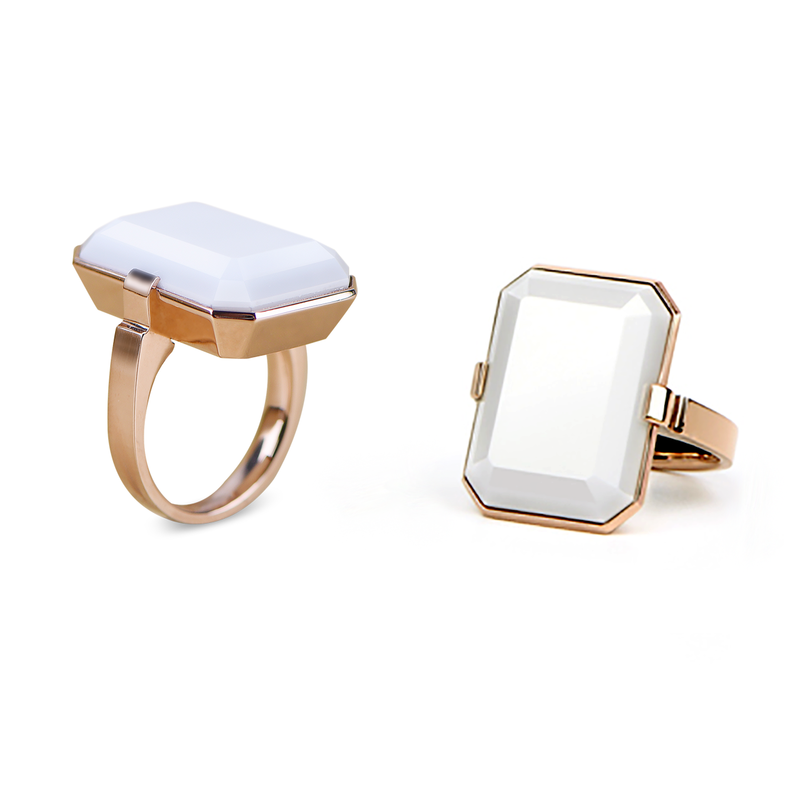 360Fashion Network's wearable technologies: charging wallets, e-textile apparel, and smart jewellery. Global brands such as Dainese, Google, Intel, Microsoft, NASA and Gravity Industries. Renowned universities and laboratories including Harvard University, Massachusetts Institute of Technology, Johns Hopkins University, Northwestern University and The Shirley Ryan Ability Lab. Celebrated artists and designers that include Anouk Wipprecht, Behnaz Farahi, Melissa Coleman, Suzi Webster, Jordan Reeves, and Anina Net. 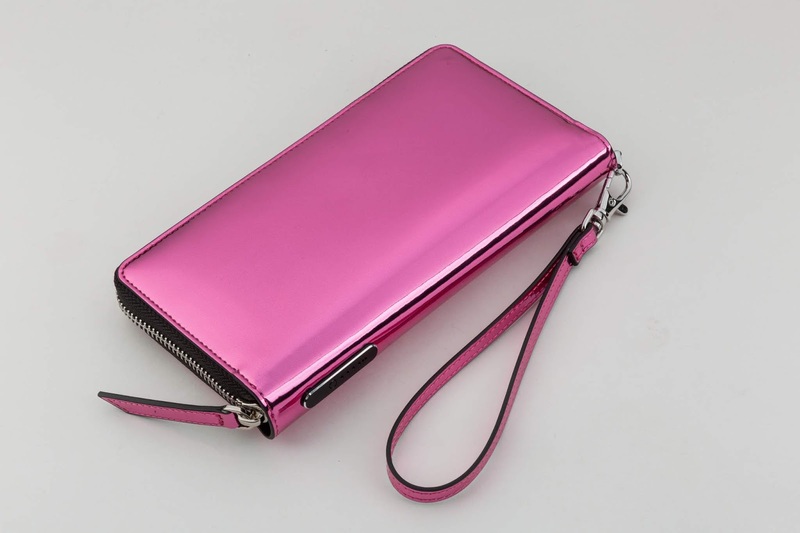 ReCharging Wallets - wireless charging wallets with backwards compatible cables in Hot Pink name "The Sandy" after Sandy Carter, one of the world's premiere women in technology created by 360Fashion Network. Electric Dreams – designed by new media installation artist Suzi Webster and Quantum XPR, this headdress will change color in response to the guest’s brainwaves using a microcontroller, EEG sensors, fiber optics and LEDs. Gravity Industries’ Jet Suit, which is comprised of five miniature jet engines and an exoskeleton, can travel more than 30 miles per hour and ascend to 12,000 feet. "It was an honor to consult with MSI Chicago to create this outstanding exhibition. I was very proud to connect them to leaders in fashion and technology in order to create this great exhibition. It is thrilling that we can launch our to-consumer products in the MSI Chicago store and online portal. Having our ReCharging Wallet in Hot Pink on display in the museum is an example of the future becoming a reality," said Anina Net, CEO of 360Fashion Network. The 360Fashion Network wireless charging wallet will be on display as a permanent part of the MSI Chicago's Wired to Wear collection. 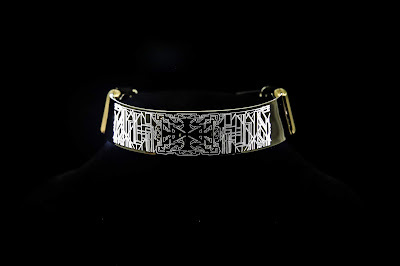 The Urban Mobility Scarf in Gold, Black, and Silver Grey are on-sale in the museum shop along with the MetaGem Smart Notification Ring, iLLUMINATED JEWELRY, and LED Ribbon and online for an indefinite period of time. Contacts: Reace Ty, reace.ty@360fashion.net, (231) 735-3902. With a background as an international top model, and a family of computer engineers, Anina has emerged as an innovative fashion technologist for the last 10 years. She has cooperated with Nokia, Samsung, Intel, IBM and many more to apply the latest technologies to the fashion industry. Executive producer of the largest fashion tech events in China together with the China National Garment Association to show the industry the future of fashion, Anina brings fashion, industry, and startups together to lead the race to connected clothing. She runs the 360Fashion tech lab in China and her HQ in Michigan. Developer of the 360Fash Tech Kits - IOT maker kits for the fashion industry and soft circuit etextiles Anina recently launched a line of tech-enabled fashion products for women who travel featured in Target Open House. Anina is passionate about helping women learn how to integrate electronics to create cutting edge fashion tech products. Contact: http://linkedin.com/in/anina. Innovative leaders in fashion technology since 2005, 360Fashion Network is an international company that uses its proprietary tools to help global brands interact with their customers in new ways using technology. The creators of the 360Fash Tech Kits that empower fashion designers and brands to create smart garments and accessories with no coding or soldering. The kits have been used by fashion brands to make fast prototypes to test in the market, or for a runway showpiece, along with 360Fashion Network’s own products. 360Fashion Network has recently created 162 smart gloves for Intel’s cooperation with CCTV broadcast to 1.3Billion People at the Spring Wind Gala during Chinese New Year. 360Fashion & Tech Runway and Exhibitions are worldwide events that bring China, Europe, and the United States fashion and technology companies together to create innovation. www.360fashion.net. The Museum of Science and Industry, Chicago (MSI), one of the largest science museums in the world, offers world-class and uniquely interactive experiences that inspire inventive genius and foster curiosity. From groundbreaking and award-winning exhibits that can’t be found anywhere else, to hands-on opportunities that make you the scientist—a visit to MSI is where fun and learning mix. Through its Welcome to Science Initiative, the Museum offers a variety of student, teacher and family programs that make a difference in communities and contribute to MSI’s larger vision: to inspire and motivate children to achieve their full potential in science, technology, medicine and engineering. Come visit and find your inspiration! MSI is open 9:30–4 p.m. every day except Thanksgiving and Christmas Day. Extended hours, until 5:30 p.m., are offered during peak periods. The Museum is grateful for the support of its donors and guests, who make its work possible. MSI is also supported in part by the people of Chicago through the Chicago Park District. For more information, visit msichicago.org or call (773) 684- 1414.